Jan 2016: Cardio or Weight-Training? Feb. 2016: Fat or Added Sugar? March 2016: Chicken or Salmon? How many days can you safely keep a piece of cooked chicken in your refrigerator? Refrigerators should be kept at a temperature of 40°F or below. Foods that are held at temperatures below 40°F should not be consumed. The "danger zone" (40°-140°) is where bacteria can grow quickly on foods. Refrigeration slows the bacterial growth. 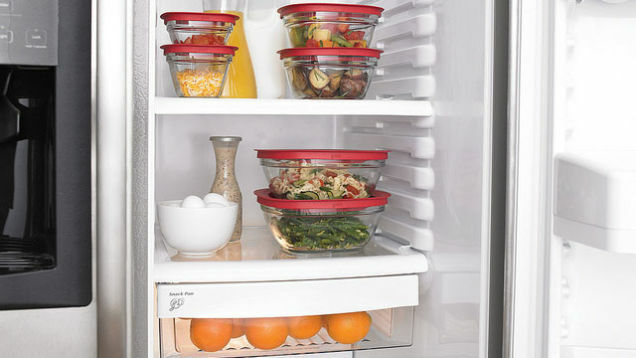 Foods that are stored for too long in the refrigerator can still contain bacteria such as listeria monocytogenes, which can multiply over time and cause illness. Download the "Is My Food Safe" app through the Academy of Nutrition and Dietetics.